The Long Point Bay Anglers’ Association was founded in June 1988 with a mandate to promote and protect the sport fishery of Long Point Bay and to represent the interests of fellow Long Point Bay anglers’. The association plays an important role in sustaining the valuable sport fishery of Long Point Bay for ecological and economic benefit. Concerned with the survival of released fish during recreational tournaments, in 1996 the Long Point Bay Anglers’ Association initiated a volunteer operation of a “Live Release Boat”. As a means to encourage live-release practices and to promote a sustainable, renewable resource, the program also serves to educate the public on the importance of releasing fish to preserve the ecosystem of Lake Erie. In 2006, the LPBAA received a National Recreational Fisheries Award from Fisheries and Oceans Canada in recognition of its efforts to promote live release. And as of June 24 2010, The corporation as incorporated through Letters Patent under the name The Long Point Bay Anglers’ Association, by the issuance of the Letter Patent pursuant the Corporations Act (Ontario) became a non-profit corporation. 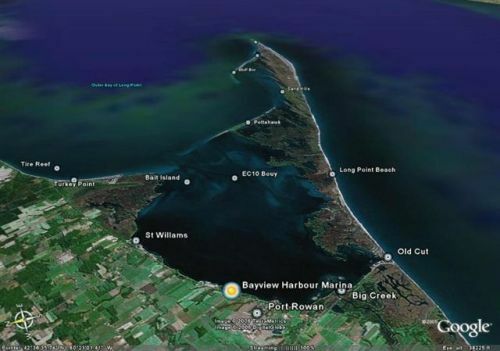 The Long Point Bay Anglers’ Association mandate is to promote and protect the sport fishery of Long Point Bay and to represent the interests of fellow Long Point Bay anglers.